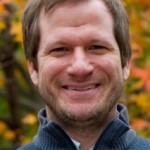 Dr. Greg Jacobson is the Co-Founder and Chief Product Officer of KaiNexus. The KaiNexus platform was developed as a result of his realization that a comprehensive software solution is absolutely critical for sustaining a culture of continuous improvement. As Chief Product Officer, Greg ensures that the development of the platform meets and exceeds the needs of our customers and stays true to his original vision. We asked him to share what he’s been reading this week. Enjoy! As part of my role as the KaiNexus CPO, I'm always trying to improve my knowledge around building easy-to-use web interfaces; keeping the KaiNexus platform user-friendly is always in the forefront of our minds during development. Steve Krug, author of Don't Make Me Think, is a genius when it comes to designing simple user interfaces. I read the first version of his book a while back, and now I'm reading the revisited version. Yes, the book is that good. Steve Krug recommended this book by George M. Prince that he originally discovered in a class he took in the early 70s. His acknowledgement of the book created so much interested in it that the publisher decided to reprint the book. The book talks about how, unless managed correctly, groups have a tendency to inhibit creative problem solving and innovation. I was really interested in this because it's all about understanding human natural tendancies and patterns, so that you can run meetings in way that prevent these patterns from emerging. I'm a fan of anything that increases productivity. Ok, I know I'm cheating a little - this isn't anything I've been reading, it's a video I've been watching. The newest Ok Go music video is fascinatingly all about perspective - you see a flash of something, you think you know what's going on, and then the perspective changes and you see something else. The video is a great reminder that everyone has different perspectives based on their relationship to what they're seeing, and that bringing a new perspective is ultimately bringing a new way of thinking and a new way of doing things to a situation. When we talk about leading a culture of continuous improvement, we often talk about engaging employees - one of the reasons being that getting input from fresh perspectives often provides new solutions to old problems. Recently someone asked me for a recommendation for a good Kaizen primer. Masaaki Imai's first book Kaizen was what introduced me to the concept of Kaizen and inspired the development of KaiNexus. Gemba Kaizen, Imai's second book, has a great first chapter that gives a comprehensive and concise explanation of the material covered in his first book. This book by Craig Stull is next up on my reading list. It was recommended to me by a friend, and I found the tagline - "uncover the extrordinary opportunities that lead to business breakthroughs" - particularly compelling. According to Amazon, it's a guide to understand and meet the needs of your customers. Of course as our CPO that's my top priority, so I can't wait to get started reading it. Do you have any recommendations for me and our readers?